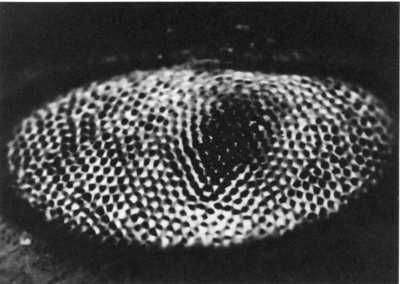 The compound eye of the horseshoe crab (Limulus), about twenty time natural size, used by H. Keffer Hartline in studies of the neurophysiology of vision. Since the 1950s Rockefeller has been home to remarkable research on the complex interactions between eye and brain that result in perhaps the most acute of human senses – vision. H. Keffer Harline continued research that would win him a 1967 Nobel Prize, examining the light receptors and electrophysiology of the eye of the horseshoe crab.